Call Today for an Estimate! It doesn’t take long to maintain your cooling or heating system in Murfreesboro, and the benefits that you can reap make the process well worthwhile. You don’t have to be a heating expert to maintain your HVAC units properly , but working with one can help. You need to know when to provide the necessary maintenance and how it works, and understanding the benefits can help keep you motivated so you stick to the schedule. If you’re wondering about the when, why, and how of your heater and air conditioner upkeep, continue reading for a look at the homeowner’s guide to HVAC maintenance. There are certain signs that let you know you need to pay more attention to your air conditioner or heating system, but you shouldn’t wait for them to spring up before you take action. Instead, stick to a regular maintenance schedule. One of the most important elements to consider is the air filter. This keeps contaminants out of the air and helps to improve your indoor air quality, which is as important in the workplace as it is in your home. How frequently you should change your air conditioner or furnace filter depends on factors like how many pets you have and the presence of allergies. If you don’t have pets or allergies, you may get away with only changing your filters every three months or so. Changing your cooling or heating system’s filter is simple enough, but you don’t even need to do it yourself. If you work with a professional HVAC company, you can set up a maintenance plan so the pros do it for you. This is always a good idea because the professionals know the ins and outs of your HVAC appliances. They can offer the needed maintenance as well as inspect your units to see if anything might be going wrong. 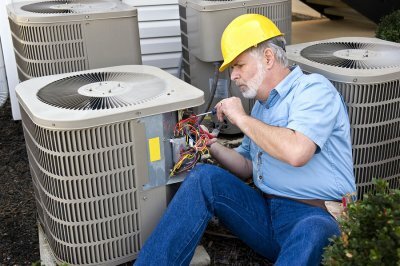 Regular HVAC maintenance keeps your units in shape. 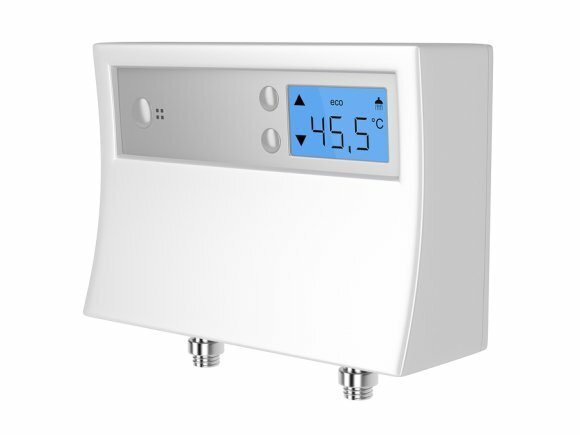 It improves their efficiency, makes your home more comfortable, and extends their working lives. Be sure to maintain your HVAC appliances to make the most of your investments. The last thing any homeowner wants to confront on a hot day is a problem with his or her air conditioner. If you experience a mishap with your cooling system in Murfreesboro, call an expert for repairs right away. The longer you ignore an issue with your AC, the more extensive the damage is likely to be. Here is a look at some of the most common issues that tend to happen with air conditioners. Refrigerant is an essential component in air conditioning systems. It is responsible for cooling the air that keeps your home comfortable. In most cases, if your air conditioner is low on refrigerant, it is because there is a leak in the system. Your air conditioning repair expert can locate the cause of the problem and fix any leak that is impacting your system’s functionality. Keeping your refrigerant at just the right level, according the manufacturer’s specifications, will ensure that your AC is working as efficiently as possible. If the outdoor fan malfunctions on your air conditioning system, then it could lead to serious internal damage. The fan takes heat from inside your home and blows it outside. If this process doesn’t happen because the fan is not working, the compressor can become overheated. 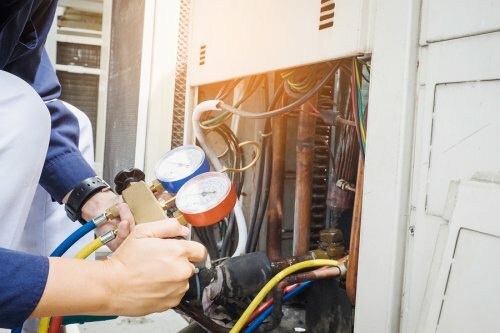 An overheated compressor can trip the safety overload or it can cause internal damage that may lead to the need for air conditioner replacement. Electric control failures can create several problems for your air conditioning. If the unit turns off and on repeatedly, it can cause components, like the fan and compressor, to wear out. Wire corrosion can also damage the system. If you suspect you have a problem with your air conditioning electrical control, call a repair expert out for repairs. 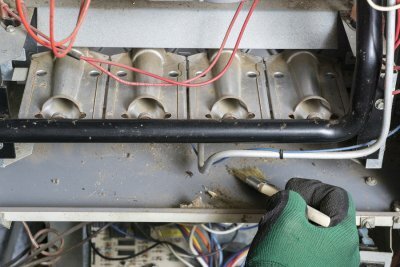 Attempting to repair any part of the electrical system yourself can not only put your AC at risk but could also be dangerous. To conserve energy and save money this summer, consider performing essential maintenance for your air conditioning installation. This video from ENERGY STAR will provide you with essential tips and information about maintaining your air conditioning installation near Murfreesboro. By changing your air filters and scheduling preventative repairs, you can keep your cooling system running as efficiently as possible. Proper maintenance is key for saving on cooling costs during the summer. If you have recently started to notice that your air conditioning bills are unusually high, contact a team of air conditioning experts . Your technicians can troubleshoot your system and help you find ways to save throughout the peak cooling season of the year. There are certain qualities your air conditioning contractor should hold, such as having positive references and ample experience with heating and cooling systems in Murfreesboro. 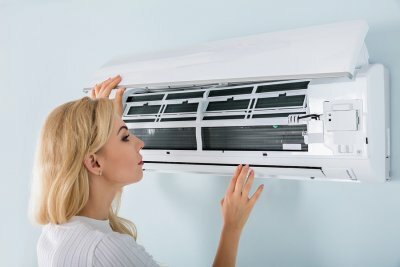 These qualities can help you determine which air conditioning contractor will do a better job and offer you a fair price. Continue reading for a better look at the important qualities to look for in an air conditioning contractor. Any type of contractor should have a variety of professional licenses before working on key areas of your home. For example, your air conditioning contractor will be certified in HVAC services and hold the proper insurances to safely work inside your home. Many contractors will also have experience and certification in other home improvement areas, such as residential electricity and plumbing. Ask your intended contractor for at least 3 references that you can call for information. Ask each reference about their experience working with the contractor. They should be able to tell you about the quality of the air conditioning installation, the demeanor and professionalism of the contractor, and their overall perception of the company. It is vital that your cooling system be sized and installed correctly to ensure you receive the best deal and product. Choose a contractor who has an ample amount of experience and knowledge to help you choose the best system for your house and install it correctly. Look for an air conditioning company that has several years in business, and ask your individual contractor how long he or she has been installing cooling systems. This information will help you decide on the best contractor to install your system. Fair pricing is an important element of choosing the right air conditioning company. You may not receive the best product or service with an overpriced company, and you risk a bad job by choosing a low-priced company. Compare at least 3 companies and ask what you can receive for each possible price. Using the previous qualities, you can choose the right company with the fairest prices. No matter how well your heating system in Murfreesboro operated during the winter, you should make sure it is ready to spring back into action when you eventually need it again. You can always have your heating and cooling professional come and inspect your furnace before the cold season, but you can also get a head start and get ready in advance by preparing your furnace once you’re done using it for the season. This presents the perfect opportunity for maintenance, since you won’t be using your furnace as much as the weather gets warmer. Continue reading and prepare your furnace for the summer. Once the cold weather has passed and you start looking forward to the summer sunshine, take the time to get your furnace in shape for the next winter. Your furnace is the core of your heating system and must be working to the best of its ability if you want to enjoy a comfortable and affordable home. At the end of the cold season, check on your furnace’s air filters; cleaning them or replacing them ahead of time will make you extra prepared when the cold comes back. You can also have a professional clean your unit for maximum efficiency. What’s Included with a Silver Maintenance Plan? At Quality Heating & Air, we are thrilled to provide our customers with a range of service plans . When you enroll in one of our HVAC service plans, you can rest assured that your home will receive furnace repair and AC repair at the start of every season. We offer Bronze, Silver, and Gold Maintenance Plans that each offer their own service benefits. Before you book us to service your HVAC in Murfreesboro, you may want to explore your service plan options. The Silver Maintenance Plan is one of our most popular services. When you enroll in the Silver Maintenance Plan, you will receive a tune up for your system during the spring and fall months. The Silver Maintenance Plan also includes a 15% discount on all repair services. We are also thrilled to provide our Silver customers with anytime maintenance and discounted emergency services. Be sure to contact us to learn more about the advantages of enrolling in one of our HVAC maintenance service plans. Life can be busy and with everything else that you have on your plate, remembering to keep your HVAC maintained can be difficult. 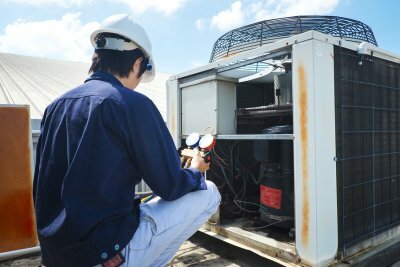 Regular HVAC maintenance in Murfreesboro is important for keeping your unit in good condition and extending the lifespan of the equipment. Quality Heating & Air offers several heating and air conditioning maintenance plans to help ensure the ongoing efficiency and function of your HVAC system. By choosing to participate in our Gold Maintenance Plan, you will benefit from reminders that help you stay on schedule with your seasonal maintenance appointments. 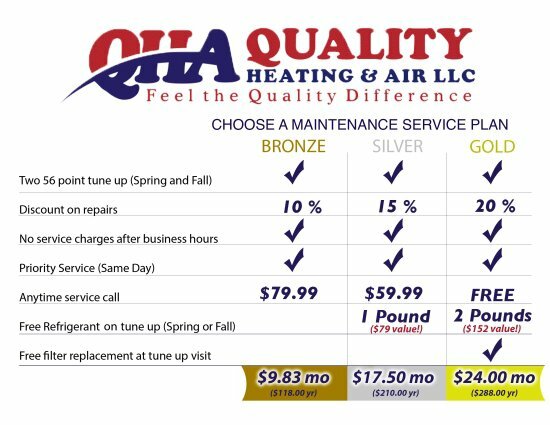 The Quality Heating & Air Gold Maintenance Plan provides you with free anytime service calls and a 20% discount on your repair costs. Some of the other benefits that you’ll enjoy on this plan include discounts on parts and labor, affordable monthly payments, priority service from our skilled HVAC team, and guaranteed satisfaction. If you wish to cancel your agreement, you can do so at any time and receive a refund for the unused portion of your payments. Are you thinking of hiring a service for HVAC maintenance near Murfreesboro ? Your HVAC system is an integral part of your home, and it is important that it stays well-maintained in order to avoid costly repairs. Whether you need AC installation or duct cleaning, an HVAC company can ensure that your system is functioning properly. Read on for some tips that will help you choose the best HVAC company in your area. A positive recommendation is often the way to go when it comes to hiring maintenance services, and HVAC maintenance is no exception. Ask your friends, family, and neighbors about their experience with HVAC companies in your area. You’re bound to hear about some of the best—and worst—services. Make a list of the companies that rendered positive results, and use this as the foundation for your search. The prices of an HVAC company’s services can tell you a lot about their quality. Of course, it’s important that the prices meet your budget. However, beware of services that are surprisingly cheap. Cheap HVAC services may cut corners, meaning you’ll have to hire a more qualified technician in the future and pay twice for your repairs. When it comes to work being done on your home, it’s better to choose a company that hires qualified technicians and pays them well, rather than going for the cheapest option. Don’t let an inexperienced contractor handle your expensive HVAC system. Instead, find an HVAC company with several years of experience in the industry. A well-established company should provide you with plenty of confidence that they will do the job appropriately. If the company’s employees seem unprepared or unprofessional, don’t hesitate to move on to another candidate. The best HVAC companies utilize upfront, flat-rate pricing. This helps ensure that all customers are paying the same rates for the same services. It also means that you won’t be paying the company more if its employees work at a slower pace. What Setting Is Right for Your Air Conditioner? After you undergo professional AC installation near Murfreesboro , it’s important to learn how to properly operate your HVAC system. When you keep your AC unit on the appropriate settings for your climate, the size of your home, and your household’s needs, your HVAC system will operate more efficiently, and you can lower your cooling costs. An AC installation expert or AC repairman at your HVAC company can help you determine which settings are ideal for your household. In general, experts recommend that your AC’s thermostat be set to 78 degrees during the summer, when you are home. When you are away from home, the thermostat should be set to 88 degrees. You can save quite a bit by adjusting the temperature while you’re away from home during the day. Keeping your AC thermostat at the appropriate temperature will also reduce your need for regular air conditioning maintenance and costly AC repairs. When your thermostat is set higher, your HVAC system won’t turn on and off as often. This reduces wear and tear on your AC components, and increases the lifespan of the unit. If your home has recently undergone a water heater installation near Murfreesboro , it’s important that you understand how your new hot water heater works. Proper hot water heater installation, operation, and maintenance will increase the lifespan of the appliance, and reduce your need for water heater repairs. If your hot water heater installation was performed by an expert at your HVAC company, he or she can advise you on the ideal settings and water heater maintenance your appliance requires. Watch this video for an up-close look into a hot water heater. You’ll learn about the inner components of a hot water heater, and how they contribute to providing hot water for you and your family. This information will help you recognize the signs that you need hot water heater maintenance or water heater repairs. Which Type of Gas Furnace Should You Choose? © HVAC Contractor, Air Conditioning Service, Heating Contractor, Furnace Replacement, Air Conditioning Repair, HVAC Service, AC Tune Up Professional HVAC Services in Murfreesboro, TN. Quality Heating & Air LLC. 2018 All Rights Reserved.